Whether you want to download and edit images, generate and validate code, or improve your site's SEO, there's a free online tool to get the job done for you. Here are 10 free online web tools that every designer should have in their bookmarks. Without training or an artistic eye, it's not always easy to pick modern colour schemes. Kuler does it for you. Need to convert, crop or colour an image for the web? Splashup offers dozens of tools and filters for editing your images. .htaccess files are invisible text documents that configure Apache web servers. This site collects several tools to automate the process. This form-based tool helps you to create CSS-powered three-column layouts. The World Wide Web Consortium has a collection of CSS and HTML validators. You can input code directly into them or link to files that are already online. The latest free Google tool for web designers is Google Analytics: a remotely hosted traffic statistics system that's easy to install on any page in your site. 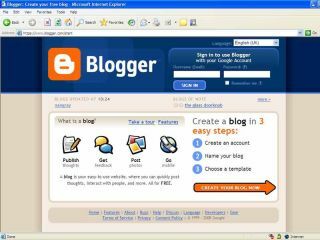 Blogger is a full, free online content management system. You can host pages in your own web space or on Blogger's Blogspot servers. Tweak your site content for maximum search engine visibility with NicheBot's keyword suggestion and analysis tools. This site's CSS and XHTML references are essential tools for hand coders. No crusty office shots here – this extensive archive is frequently topped up with the cutting-edge work of young, new photographers. Free for non-profit use.